Grey Epoxy Primer is a High Solid, zinc chromate free, 2K anti corrosion primer suitable for all kinds of finishes. Designed for use on most substrates such as ferrous and non ferrous metals, aluminium, fibreglass and many other surfaces. 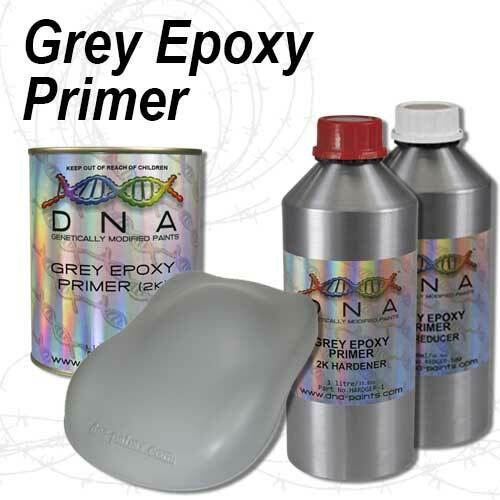 Grey Epoxy Primer accepts all top coats, may be used wet on wet and dries to a satin matte finish. GEP possesses very good corrosion and chemical resistance with excellent adhesion on properly prepared metal substrates with one to two coats all that is required for this versatile easy to use primer. Always check that you have read the latest TDS before use.